Calling all creatives! Are you someone with a craft/artisanal product you’d like to sell? Starting a business and want to showcase your product to the neighborhood? 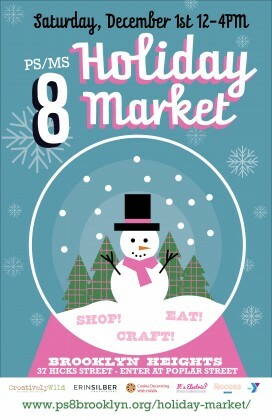 PS8/MS8 is looking for vendors for their annual Holiday Market. The event will held on Saturday, December 1st from 12pm – 4pm – registration for vendors is open now and can be accessed via this link. This event is open to the public and all are encouraged to attend. There will be crafts and fun for the kids, great shopping for the adults, and lots of delicious food! Hope to see you there!